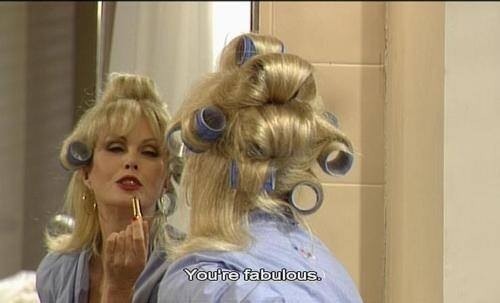 It is with baited breath that the nation awaits the release of the Ab Fab film. Ok, maybe not the wholeeee nation… but definitely me at least. 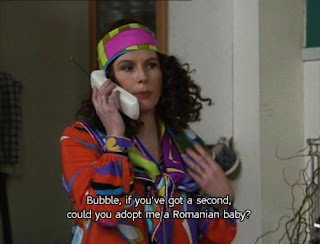 Firstly, I have a confession to make, I came late to the world of Absolutely Fabulous. I mean, of course I came late, it was first aired before my actual conception or birth. But still, there were many years during my youth when I could have welcomed the programme into my heart, but, alas, it took me until I was 20 whole years old (and until it came on Netflix) to introduce the magical show into my life. 20 years of my life spent without such a sublime piece of television, looking back I can’t imagine what dark times they must have been, or how I ever made a decision without the guidance of Eddie and Patsy. For those of you who haven't watched, or simply need reminding before they hit the big screen, here are some of the most important life lessons we can learn from everyone's favourite duo. Thank you for your eternal guidance, ladies.